Meghalaya Government plans to launch a “Honeybee Mission” to help protect one of the tinniest insects that have held the world together. 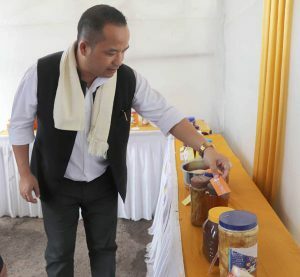 The decision was taken at the World Honeybee Day celebrations in Shillong on Tuesday. A large number of bee farmers from across the State were present. 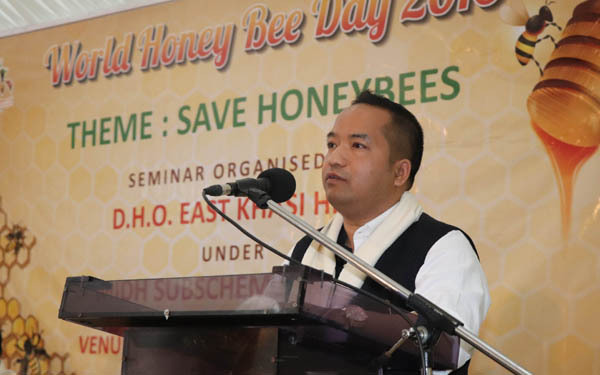 “We will work on launching the Honeybee Mission to help save bees in Meghalaya,” stated Minister Agriculture, Banteidor Lyngdoh. Indigenous honeybees in Meghalaya, were declining due to the use of pesticides and also introduction of western species like Apis Mellifera etc, according to some officials. Food and Agriculture Organization of the United Nations declared May 20 as the first-ever ‘World Honey Bee’ Day to spread awareness about honey bee and bee keeping. In Meghalaya, indigenous species, Apis Cerana and Apis Cerana Indicia would be focused upon once the Honeybee Mission gets underway. State farmers have been rearing honeybees through traditional methods. Additional Chief Secretary KN Kumar said, “Meghalaya is a low pesticide consumption States in the country. We have stopped providing subsidy for pesticides and now we require complete ban on sale of pesticides in the State”. Kumar informed, Under the Honeybee Mission, research divisions should be set up to understand reasons behind the declining population and suggest corrective measures. Bee farmers and processors who sold their products at the All Saint’s Hall were felicitated during the celebration.